2016 has not been exactly a bumper year for Singapore SMEs. As we head into the second quarter of 2017, the media and economists have forecasted that sluggish growth will continue into the rest of the year. 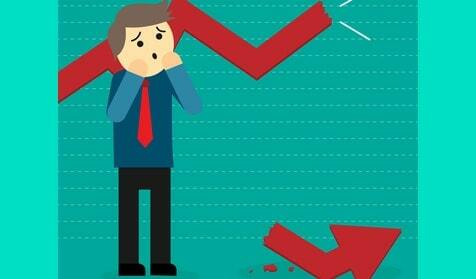 Many Singapore SMEs which are now well capitalized have been feeling the pressure of the economic downturn. In the development life cycle of small businesses, it is inevitable to go through cyclical and structural downturns such as the one we’re facing now. However, for SME owners whom are agile and resourceful, the downturn might not all be just doom and gloom. Good business leaders are adaptable and able to pivot nimbly according to circumstances. To find the silver lining within the current dark recessionary clouds, the SME owner must be willing to accept that change is a constant in business and be prepared to seek new directions. In a slow down, the SME owner must be extra mindful of your company’s cash flow position at all time. Prepare well ahead of time if you require to apply for a business loan to improve working capital position or to take advantage of opportunities. Always plan your loan application in advance as banks credit will tighten in a sluggish economy. Lower consumption, economic depression and tightening credit access are in fact not a recipe for disaster. In fact, within the pessimistic outlook might lay opportunities for those whom hustle hard enough and able to look at the bigger picture that is developing. Within every crisis lies opportunity, specifically the below 4 opportunities. In a recessionary period, most companies will likely fall back on a defensive posture by suspending investment, cutting costs and retrenching staff. There will be fewer new entrants into the marketplace as well as most will be spooked by the climate and opt to postpone their market entry till when they deem “times are better”. As a result, the intensity of market competition is significantly reduced in the backdrop of an economic slowdown. Most Singapore SMEs are in homogeneous markets with high competition. In certain industries, GLCs (Government Linked Companies) dominate the market with seemingly insurmountable odds for the small boy. However when market competition is greatly reduced, a resilient SME could chisel in to find a market entry point in a particular niche. When the market recovers, the companies that managed to weather the storm could find themselves in a dominant position in their respective market niche. As consumers, we are bombarded with ads and marketing messages every single day. From Facebook, billboards, search engine to your traditional mass media. During good times with strong domestic wage growth and low unemployment figures, brands will outdo each other going full throttle on their marketing budget. In a recessionary period, most companies will instinctively cut back on costs including marketing and promotional activities. With the reduced marketing messages and brand mentions, the market environment will become relatively quiet. For a small SME, a modest $30k-$50k branding and marketing budget will probably be a drop in the ocean during the boom period. You’ve got to be very creative in your market positioning and brand messaging to be heard above the rest. During a downturn, this marketing budget will likely allow you more options and platforms to spread your message to your target consumers. You can also practice customer segmentation in your marketing efforts to redirect more marketing budget on higher ROI customers. Traditional media like TV and papers will offer discount packages which are usually not offered during good times. You can also run Pay-Per-Click (PPC) online marketing advertisements and likely get more bang for your buck. As most popular PPC platforms such as Google Adwords works on an auction basis, demand of online traffic from advertisers greatly tilt the costs required to run a profitable ROI campaign. So, any economic depression is the best time for you to press on with your marketing campaigns to grab a bigger piece of your target consumers’ mind-share. Again, in a recessionary environment most companies will cut their least profitable product lines, reduce value add services (due to lower headcount) and stop investment in R&D or coming up with innovative new products and services. However, when those companies do so, their consumers and clients whom are used to the previous standard of service rendered will naturally be disenchanted. When consumer experience is negatively impacted, dissatisfaction with the company and its brand will follow. This is a great opportunity for the nimble SME whom is able to take advantage. Consumer discontent is an opportunity for you to penetrate new key accounts that were previously closed to you. As we can see in the rapidly sharing economy, the rapid rise of new market entrants in very traditional industries such as Grab in the taxi industry are due to the smaller new entrant exploiting consumer dissatisfaction with the incumbent. Imagine if you’re a manufacturer that is not able to gain access in the supply chain of a big MNC you’ve courted multiple times due to your lack of branding and stature. Now, if the current supplier of your targeted client decides to cut back on their logistics and customer service support due to the slowing economy, and the client is dissatisfied with the drop in service levels, what should you do? The answer is obvious. This is the best opportunity you have to gain a new key account by doubling up your service value propositions and product offerings to take advantage of the target client’s dissatisfaction with their current vendor. During a recessionary slowdown, most cost of businesses will also tend to fall as suppliers drop prices in a bid to shore up demand. You’ll find that direct costs of materials might start dropping as suppliers start to offer volume discounts or early payment discounts. This is also the best time to renegotiate business premise lease renewals with your landlord as you’ll have better bargaining power. Banks whom might usually tighten credit lending during a downturn might also offer better lending rates for their SME loan to high quality borrowers. Make sure to keep your credit rating pristine and clean so you’ll have more bargaining power when negotiating business loan interest rates with your banker. Most importantly, the cost of labour will tend to go down as well. With rising unemployment rate and sluggish hiring across the board, talents that were previously averse to working in smaller companies might become available with the right remuneration package. This is a right time to beef up your talent acquisition and retention policies to attract talent with the right cultural fit. No business can ever hope to scale without a talented team of committed players. Some of your competitors whom have weaker holding power may call it a day. They may start to conduct fire-sale of their inventory at bargain prices or you might come across experienced industry candidates whom were let go of by their defunct companies. Take every opportunity to sniff out potential deals during a slowdown and you might be better positioned than most to grow during the recovery phase that will follow. Within every crisis will always lay opportunity for those who are prepared. Contrarian thinking if applied appropriately will lead small businesses to reap huge dividends during an economy slowdown. When everyone is retreating, study your options impassively and take a leap of faith if the odds are in your favour. Instead of following the herd blindly, do the opposite and your hand could be significantly strengthened during the next economy recovery. In 1998, as the financial crisis swept through Asia, the majority of enterprises reduced investments. Samsung took a contrarian approach and increased investments in Asia, in one fell swoop it became a leader in the multiple verticals it was competing in. In 2009, the global financial crisis spread to China. Without exception, most companies again cut investments and reduced exposure to the market. But Kentucky Fried Chicken did the opposite. They instead increased investments in China and as a result, consolidated and enhanced their market leading position today. SMEs are not constrained by size and bureaucracy of larger companies. It is the natural advantage of a smaller company to stay nimble and react faster to changes in the external market. Take full advantage of being agile and look out for the opportunities that present themselves during this difficult time.